At St. Louis Christian College, we like to keep our students, supporters, and friends informed of what’s happening around SLCC. Two ways that we can keep in touch with you are with our newsletters. You can subscribe to one or both of our newsletters at the bottom of this page. 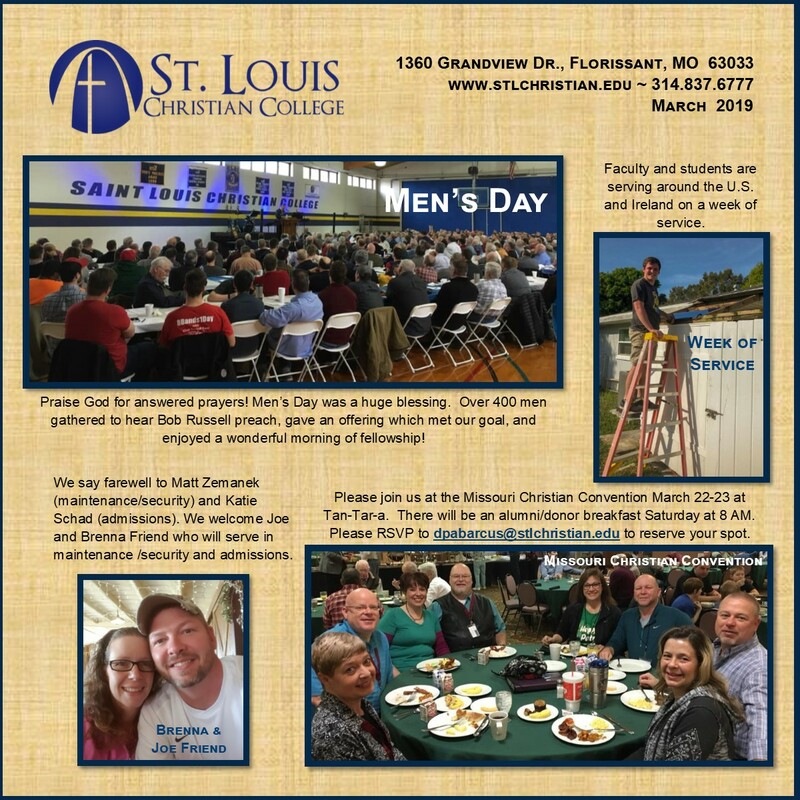 The SLCC News is published bi-annually for St. Louis Christian College alumni, students, and friends. The First to Know is a monthly online newsletter.